Velcon ACO-21001R is an Outside-to-In Flow Cartridge for a VF31E 1" housing. Removes water and dirt from jet fuel and Avgas. Delivers up to 15 GPM. Collapse pressure 60 PSI. Velcon AC-21005-1 is an element for removing water and dirt from oils, fuels and gases. It fits Velcon VF-31 Housings. Velcon ACO-512P3R is a 0.3 Micron, Outside-to-In Flow Cartridge for a VF-61 Housing. Removes water and dirt from jet fuel and Avgas. Velcon ACO-52401R is an Outside-to-In Flow Cartridge for a VF-62 Housing. Removes water and dirt from jet fuel and Avgas. Velcon ACO-31001L is an Outside-to-In Flow Cartridge for Purolator Vessel PR-172-3. Removes water and dirt from jet fuel and Avgas. Delivers up to 20 GPM. Collapse pressure 75 PSI. Ships in pack of 16 filters. Velcon ACO-40801L is an Outside-to-In Flow Cartridge as Rellumit Replacement. Removes water and dirt from jet fuel and Avgas. Delivers up to 13 GPM. Collapse pressure 100 PSI. Ships in pack of 4 filters. Velcon ACO-41201P is an Outside-to-In Flow Cartridge used to replace Facet C-707 and Purolator Vessel PAG-50. Removes water and dirt from jet fuel and Avgas. Delivers up to 20 GPM. Collapse pressure 100 PSI. Velcon ACO-41801L is an Outside-to-In Flow Cartridge used to replace Facet C-706 and Keene BP-419, BP-518. Removes water and dirt from jet fuel and Avgas. Delivers up to 30 GPM. Collapse pressure 100 PSI. Ships in pack of 4 filters. Velcon ACO-41901L is an Outside-to-In Flow Cartridge as Rellumit Replacement. Removes water and dirt from jet fuel and Avgas. Delivers up to 32 GPM. Collapse pressure 175 PSI. Velcon ACO-60801L is an Outside-to-In Flow Cartridge as Omeco 6” x 8” Replacement. Removes water and dirt from jet fuel and Avgas. Delivers up to 30 GPM. Collapse pressure 100 PSI. Velcon ACO-60901R is an Outside-to-In Flow Cartridge used for Fram / Facet VFCS-21 (Element CC-21-7) and VF-609. Removes water and dirt from jet fuel and Avgas. Delivers up to 36 GPM. Collapse pressure 100 PSI. Velcon ACO-61201R is a 0.5 Micron, Outside-to-In Flow Cartridge for Fram/Facet VFCS-22 (Element CC-22-7). Removes water and dirt from jet fuel and Avgas. Delivers up to 48 GPM. Collapse pressure 100 PSI. Velcon AC-5121/2E is a 0.5 Micron Water Absorbing Cartridge for a Velcon VF-61 Housings. Remove Water and Dirt from Oil, Fuel and Gas. Ships in pack of 36 filters. Velcon ACO-61401R is a 0.5 Micron, Outside-to-In Flow Cartridge qualified to EI 1583. Removes water and dirt from jet fuel and Avgas. Delivers up to 58 GPM. Collapse pressure 175 PSI. Velcon ACO-62201LTB is a 0.5 Micron, Outside-to-In Flow Cartridge qualified to EI 1583. Removes water and dirt from jet fuel and Avgas. Delivers up to 88 GPM. Collapse pressure 175 PSI. Velcon ACO-62901R is a 0.5 Micron, Outside-to-In Flow Cartridge qualified to EI 1583. Removes water and dirt from jet fuel and Avgas. Delivers up to 115 GPM. Collapse pressure 175 PSI. Velcon ACO-63301L is a 0.5 Micron, Outside-to-In Flow Cartridge qualified to EI 1583. Removes water and dirt from jet fuel and Avgas. Delivers up to 133 GPM. Collapse pressure 175 PSI. Velcon ACO-64401R is a 0.5 Micron, Outside-to-In Flow Cartridge qualified to EI 1583. Removes water and dirt from jet fuel and Avgas. Delivers up to173 GPM. Collapse pressure 175 PSI. Velcon ACO-64401LTB is a 0.5 Micron, Outside-to-In Flow Cartridge qualified to EI 1583. Removes water and dirt from jet fuel and Avgas. Delivers up to 176 GPM. Collapse pressure 175 PSI. Velcon ACO-71801L is a 0.5 Micron, Outside-to-In Flow Cartridge for a VF-71E Housing. Removes water and dirt from jet fuel and Avgas. Delivers up to 58 GPM. Collapse pressure 175 PSI. Velcon AC-51205 is a 5 Micron Water Absorbing Cartridge for a Velcon VF-61 Housings. Remove Water and Dirt from Oil, Fuel and Gas. Ships in pack of 6 filters. Velcon AC-61405 is a 5 Micron Water Absorbing Cartridge, interchanges with Velcon FO-614PLF, FO-629PLF, and FO-644PLF Series Cartridges. Remove Water and Dirt from Oil, Fuel and Gas. Collapse pressure 100 psi. Velcon AC-62905 is a 5 Micron Water Absorbing Cartridge, Interchanges with Velcon FO-614PLF, FO-629PLF, and FO-644PLF Series Cartridges. Remove Water and Dirt from Oils, Fuel and Gas. Ships in pack of 36 filters. Velcon AC-64405 is a 5 Micron Water Absorbing Cartridge, Interchanges with Velcon FO-614PLF, FO-629PLF, and FO-644PLF Series Cartridges. Remove Water and Dirt from Oil, Fuel and Gas.Collapse pressure 100 psi. 5 Micron. 44" Length. Velcon AC-718P4D is a 0.4 Micron Water Absorbing Cartridge, Velcon industrial housings and portable filters, interchangeable with Velcon FO-718PL and FO-736PL Series Cartridges. Remove Water and Dirt from Oils, Fuels and Gases. Ships in pack of 6 filters. 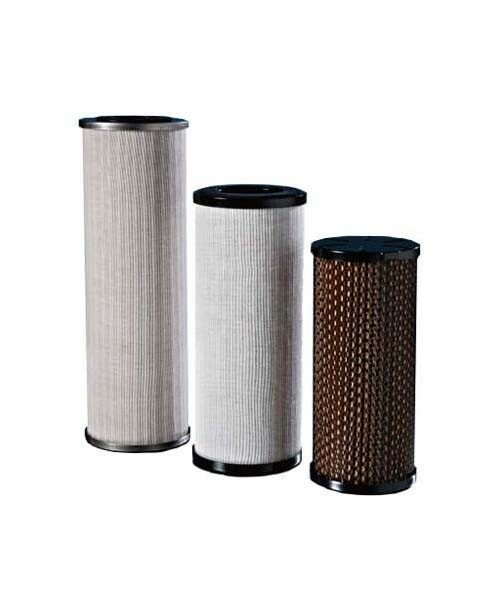 Velcon AC-71801 is a 1 Micron Water Absorbing Cartridge for Velcon industrial housings and portable filters, interchangeable with Velcon FO-718PL and FO-736PL Series Cartridges. Ships in pack of 6 filters. Velcon AC-71805 is a 5 Micron Water Absorbing Cartridge, Velcon industrial housings and portable filters, interchangeable with Velcon FO-718PL and FO-736PL Series Cartridges. Ships in pack of 6 filters. Velcon ACO-40901SPP is a 0.5 Micron, Outside-to-In Flow Cartridge qualified to EI 1583. Removes water and dirt from jet fuel and Avgas. Delivers up to 15 GPM. Collapse pressure 60 PSI. 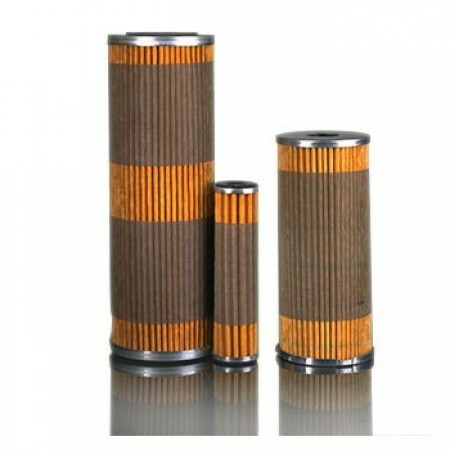 Facet CC-512 is an Aviation Fuel Filter Cartridge. Replaces Velcon OS-51288 replacement cartridge, Velcon VF61 housing cartridges. Facet GNG-210-5PL Go-No-Go® Absorptive Cartridge performs two jobs with one cartridge. It absorbs water and removes solids reliably and efficiently. Replaces Velcon AC-21005 replacement cartridge. 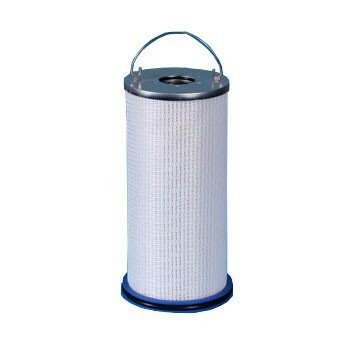 Facet FG-O-412-2 is an Aviation Fuel Filter Cartridge. Replaces Velcon ACO-41201P replacement cartridge. 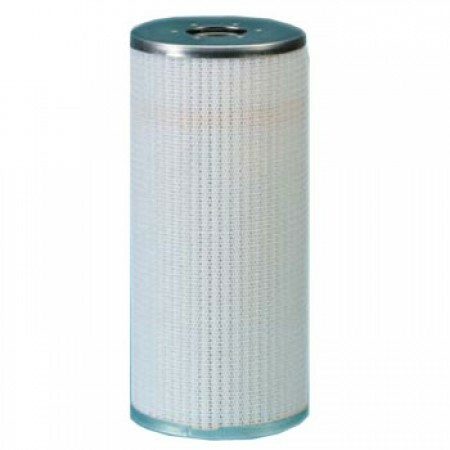 Facet FG-O-418-2 is an Aviation Fuel Filter Cartridge. Replaces Velcon ACO41801P replacement cartridge. 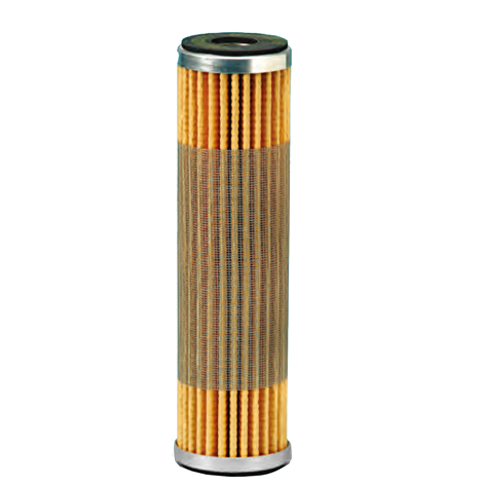 Facet FG-O-419-2 is an Aviation Fuel Filter Cartridge. Replaces Velcon ACO41901P replacement cartridge. Facet FG-O-608-2 is an Aviation Fuel Filter Cartridge. Replaces Velcon ACO-60801K replacement cartridge. Facet FG-O-612-2 Fuel-Gard® Monitor Cartridge is used for maximum water absorption, solids holding capacity and shutdown protection to assure clean, dry fuel. Replaces Velcon ACO-61201K cartridge. Facet FG-O-612-7 Fuel-Gard® Monitor Cartridge is used for maximum water absorption, solids holding capacity and shutdown protection to assure clean, dry fuel. Facet FG-O-614-2 Fuel-Gard® Monitor Cartridge is used for maximum water absorption, solids holding capacity and shutdown protection to assure clean, dry fuel. Replaces Velcon ACO-61401K cartridge. Facet FG-O-628-2 Fuel-Gard® Monitor Cartridge is used for maximum water absorption, solids holding capacity and shutdown protection to assure clean, dry fuel. Replaces Velcon ACO-62901K cartridge. Facet FG-O-633-7 Fuel-Gard® Monitor Cartridge is used for maximum water absorption, solids holding capacity and shutdown protection to assure clean, dry fuel. Replaces Velcon ACO63301P cartridge. Facet FG-O-643SB-2 Fuel-Gard® Monitor Cartridge is used for maximum water absorption, solids holding capacity and shutdown protection to assure clean, dry fuel. Replaces Velcon ACO-64401LTB cartridge. Facet FG-O-643-2 Fuel-Gard® Monitor Cartridge is used for maximum water absorption, solids holding capacity and shutdown protection to assure clean, dry fuel. Replaces Velcon ACO-64401K cartridge. Facet GNG-512-5PL Go-No-Go® Absorptive Cartridge performs two jobs with one cartridge. It absorbs water and removes solids reliably and efficiently. Replaces Velcon AC-51205 replacement cartridge. Facet GNG-614-5PL Go-No-Go® Absorptive Cartridge performs two jobs with one cartridge. It absorbs water and removes solids reliably and efficiently. Replaces Velcon AC-61405 replacement cartridge. Facet GNG-718-5PL Go-No-Go® Absorptive Cartridge performs two jobs with one cartridge. It absorbs water and removes solids reliably and efficiently. 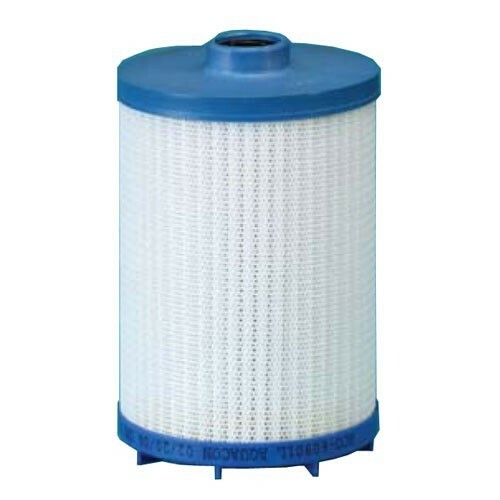 Replaces Velcon AC-71805 replacement cartridge. Facet FG-O-512-2 Fuel-Gard® Monitor Cartridge is used for maximum water absorption, solids holding capacity and shutdown protection to assure clean, dry fuel. Replaces Velcon ACO-51201K cartridge.